Quick no-curst or crustless quiches are the new trends these days. 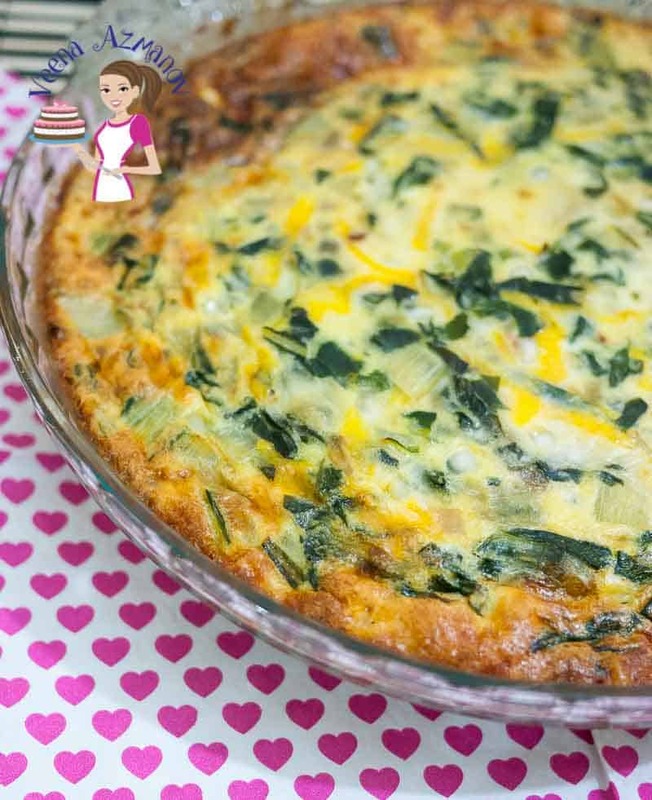 This simple, easy and effortless recipe for crustless swiss chard quiche is creamy, cheesy and super delicious made with cottage cheese, cheddar cheese that just melts in the mouth. A perfect take with you quiche to bring as a guest or serve when entertaining at home. One of my challenges with healthy eating in this family is greens. While the kids will munch on a broccoli without any fuss somehow the greens need a bit of masking. That goes not just with the kids but Ziv too! Yup hubby can be a big baby when it comes to leaves. He has a mental allergy towards them. So the only way I approach it is to make it less obvious. Often they go in wraps, quiches, tortillas and of course soup!! 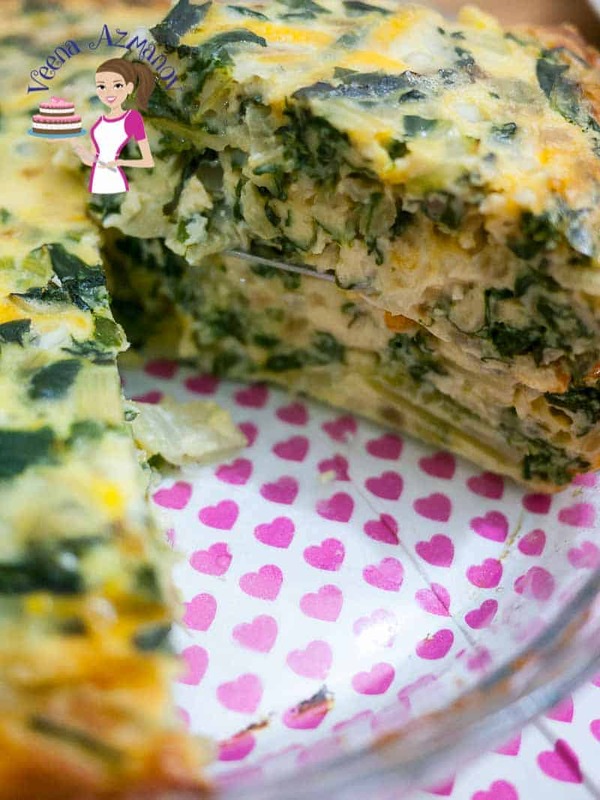 This quiche is so versatile and works great not just with Swiss chard. I’ve made it with a few other greens too! The best part? It’s simple, easy and effortless for me. I refer to this as my three-step process that’s why I love it so much. In fact, you can make this at the beginning of the week. Then prepare the quiche for dinner on the day you need it. If you have extra Swiss Chard lying around and have no time to use it – prepare this mix, cool it and throw it in the freezer. Step II – Prepare Cheese Mixture – This gets done in two minutes because it’s simple as whisking them in a bowl. Step III – Assemble and Bake!! Assembling takes 2 minutes and the quiche takes as little as 30 minutes to cook. Swiss Chard – I’ve used only Swiss chard in this recipe but if you prefer you can make a combination of spinach and Swiss chard. You can even use all spinach or a combination of your favorites like leeks. Cheese – I’ve used a combination of Cheddar, Gouda and a hint of Parmesan. Gouda and Parmesan are a bit stronger in flavor so they do a great job of emphasizing the cheese flavor without adding too much. Cheddar is a class of its own and one I have on hand all the time. It works great with quiches and pies because the flavor is always perfect. Milk – I have substituted the milk with Coconut milk and it’s yum.. with a coconut flavor of course. I know a friend who uses Almond milk in all her quiche instead of milk but I have not tried that yet. Twirl the pan so the breadcrumbs are evenly distributed. Shake off any excess. Clean, wash and pat dry the Swiss Chard. Remove the stalks and chop them small – similar to the onions. Roll up the leaves and chop them roughly so they are not too large. Saute the chopped onions, stalks and garlic for a minute or two until onions are translucent. Make sure you do not have too much liquid in the pan. If you do crank up the heat and let it dry out. Break eggs in a bowl. Whisk well. Add cottage cheese, flour, and milk – whisk well. Lastly, add the Parmesan Cheese. Bake in a preheated oven at 170 C / 340 F for about 30 minutes. The top should look set – the middle with a slight jiggle which sets as it cools. Let the quiche rest for at least 20 minutes before you cut. This will help cool and you will have pretty slices. 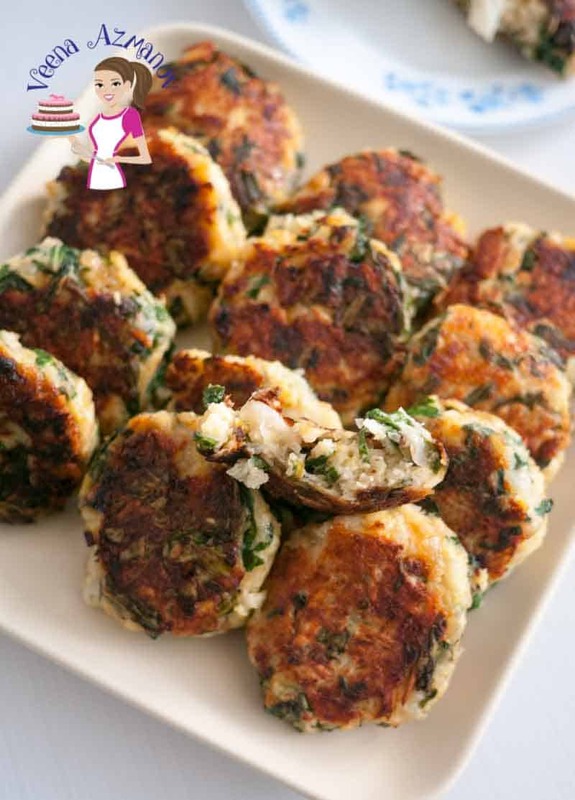 If you love Swiss Chard – you must check out these Swiss Chard Patties. Out of this world delish!! Easy Swiss Chard Patties aka Swiss Chard Cakes Whether you call these Swiss Chard patties or Swiss Chard Cakes these make amazing appetizers or sides. Remove the stalks and chop them small - similar to the onions. Add cottage cheese, flour, and milk - whisk well. The top should look set - the middle with a slight jiggle which sets as it cools. 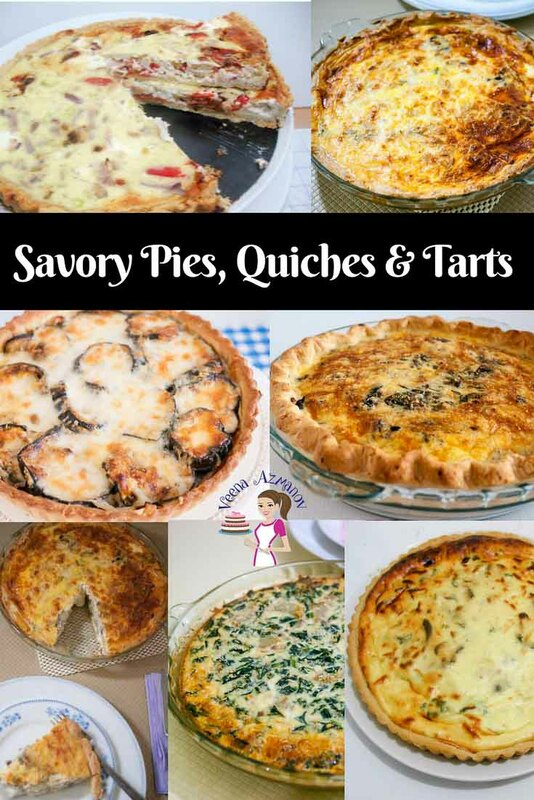 Looking for more savory pies, tart and quiche recipes? I love making these too. Take a look at some of my wonderful pies, tarts and quiche recipe here on the blog, such as the best mushroom quiche recipe, Red pepper onion and goats cheese tarts, crustless swiss chard quiche, crustless kale artichoke ricotta quiche, artichokes and goats cheese quiche, grilled eggplant and onion quiche. Made this last week and OMG even the kids ate it. It really does work with my kids. Such an easy recipe. Thanks for sharing Veena. Thank you, Hannah. So happy you had success with this recipe and the kids enjoyed it too. Thanks for coming back to write this comment. Appreciate feedback. Have a great day. Hey Millie. Glad to hear gluten-free flour and cornmeal worked as well. Will be helpful to those who want a gluten-free option. Yes, the flour does need to be added with the cheese. Helps it set so it cuts decent slices or it’s too soft. I have yet to try swiss chard and loves greens. I will have to check this out. I always use escarole I may have found a new favorite right here! Thanks! Thank you Claudia. you must try Swiss chard it’s really delicious. 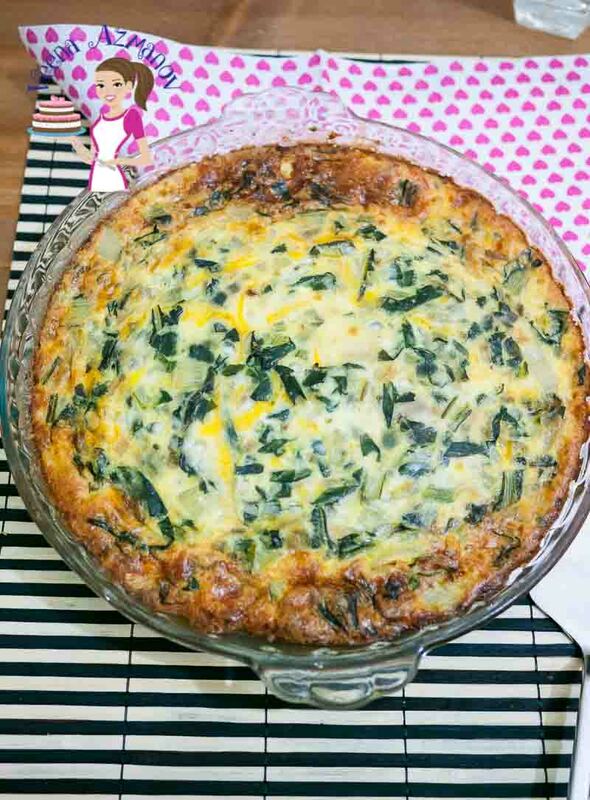 I love making quiche in the summer it’s great for taking on picnics. Definitely trying this recipe this year! 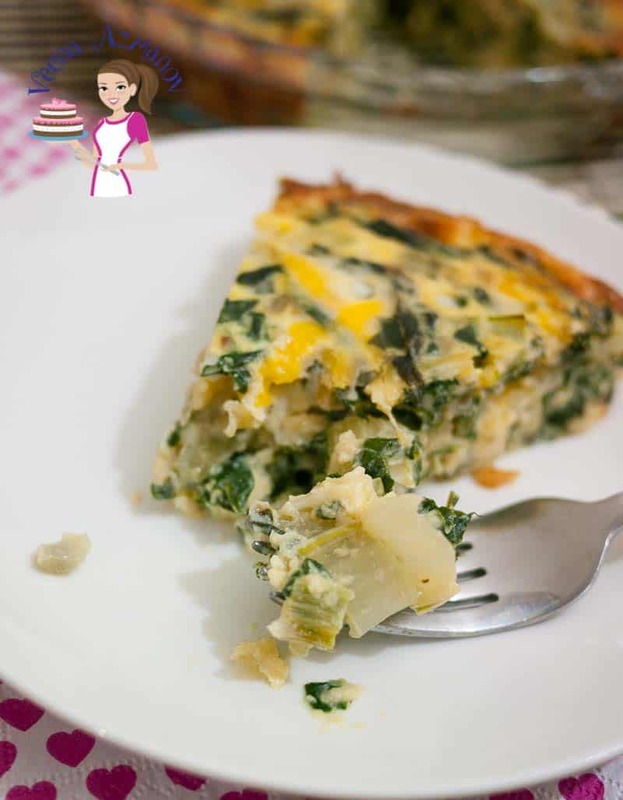 I love quiche in summer and it’s definitely something to take with me when I get invited.. Thanks Amy. I love crustless too! I am always looking for unique ways to use swiss chard. This looks phenomenal!! Thank you Tiffany. You will love this. 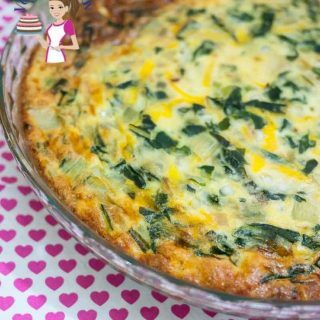 I love using cottage cheese with egg dishes too – so delicious! I’ll have to try swiss chard. My husband refuses to eat anything with cooked spinach – I cant even hide it! But he’ll eat fresh spinach in salads – so weird, LOL! 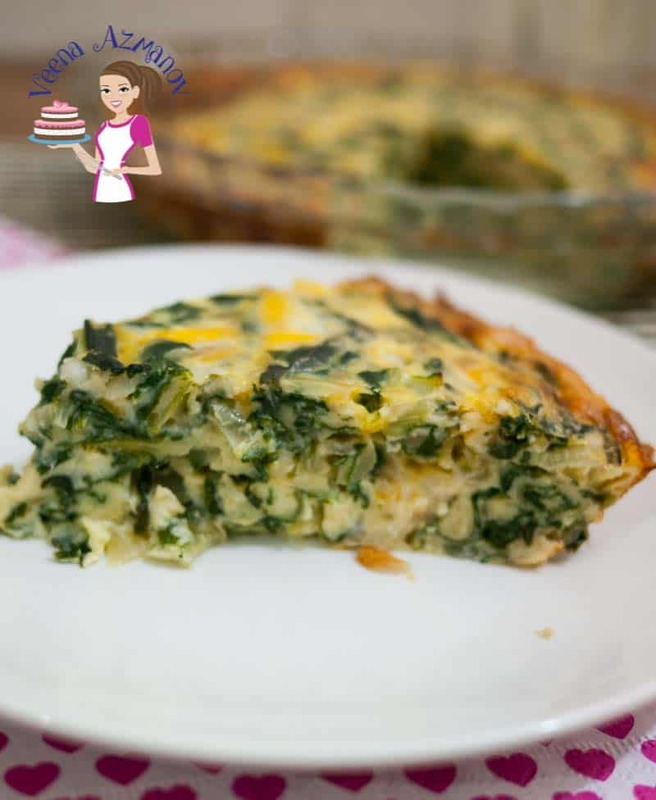 Absolutely Jill – cottage cheese in quiches and such dishes are so perfect. Crust-less quiche sounds great idea. Healthy plus great breakfast. Good share. I’m loving the addition of the Swiss chard and healthy means I can have a larger piece. I love making quiche and this sounds really easy. I’ve never tried it with Swiss chard but going give it a try. I love a crustless quiche for a low carb option. Great idea to add Swiss chars to it. Thank you Dannii. I hope you try this. There are so many things to love about the quiche! Like the fact it’s crustless, can be made in stages and saves some calories! Just made this last week and it was really tasty. Made it for some family guest and they could not believe it was swiss chard. Thank you for such a delicious and healthy recipe. Was really simple and easy. Thank you Kenny. Happy to hear that you enjoyed this recipe. Thanks for coming back to write this feedback. Appreciate it very much. I’m very partial to quiches. They are so versatile and an excellent dish for breakfast, lunch, or a light dinner. And you’re right! What a great way to sneak in some extra veggies. It looks so good I can’t believe it doesn’t have a crust. A great recipe when I’m trying to save on calories. I’m pinning. Thanks Marisa. Absolutely a great way to add some extra veggies. I love crustless cause let’s face it though I love crust my waist hates it. Looks delicious! We are big fans of greens and cheese with eggs! Quiches are great for brunch, or dinner with a salad. Kale is perfect, and I love the “no curst” version. Makes for a healthier version of a classic dish. 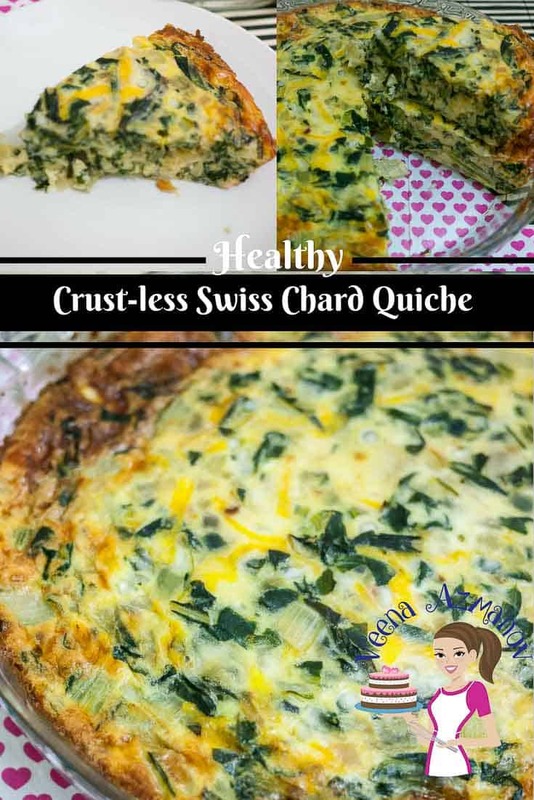 I love the idea of adding Swiss chard to a quiche! My husband is also a bit picky about vegetables and greens, they have to be prepared a certain way for him to like them, haha! We used to grow Swiss chard in my mom’s garden when we were growing up and I remember eating it straight from the garden – I loved it! Thanks Sarah..!! I love Swiss Chard too! I do think that compared to other greens it does have a distinct flavor. I usually succeed in adding spinach and leeks without Ziv or Aadi asking what’s in? But when I add Swiss Chard.. they will always ask… what is that taste in there? I love crustless quiches but I might try to figure out a substitution for the bread crumbs and flour so it would be completely gluten-free. It looks and sounds delicious though! Ah – I think you can omit the bread crumbs Amy.. that just helps by adding body and getting nice pretty slices.. I’m sure you could use almond flour or coconut flour for a gluten free version. What a delicious way to spend breakfast. I think it would be delicious with the addition of spinach. Yum. Yes it would definitely work great with spinach too! Your recipe goes perfectly with my declaration to cut down on carbs and up my greens, in the most delicious way! SO glad to hear that Dan.. I too have decided to up the greens this year..
Wow, this quiche looks amazing. And it requires only 40 minutes to get ready! Thanks for the recipe!